Matt Campbell is an Associate at trepwise, where he supports client engagements and internal initiatives. Matt is dedicated to helping individuals and organizations scale by creating sustainable systems of change. 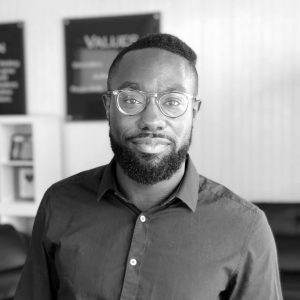 Prior to trepwise, Matt worked as Director of Admissions at Wyncode Academy, a coding bootcamp in Miami, Florida that provides technical and soft skills training for career advancement. In his role, he explored many functions, including strategy, operations, and marketing to increase his impact. Before his promotion to Director of Admissions, he was Campus Director for the Miami location, running day-to-day operations and acting as an ambassador for the Wyncode experience. In his time at Wyncode, Matt developed a passion for scaling organizations and identifying areas to improve efficiency. Matt was born in Miami and moved to Metro Detroit, Michigan at age 8. Starting in middle school, he participated in track and field, which would be a major activity throughout his educational experience. Matt attended the University of Michigan, working towards his bachelor’s in Business Administration. He also competed on the men’s track and field team and was voted team captain by his peers. Matt returned to Miami as a Teach For America corps member after graduating from Michigan for his two-year commitment as a 6th and 7th-grade teacher. After his time as a corps member, Matt developed a passion for increasing opportunities for underserved populations. He served as a founding board member for P.S. 305, Miami’s first educational policy and advocacy non-profit. Matt aspires to impact New Orleans on a professional and personal level as he continues to learn more about the city. When he’s not working at trepwise, Matt enjoys listening to live music, trying new restaurants, reading great books and exploring New Orleans.